The first things most people notice about your web page is whether your website is appealing to the eye and if information is easy to find. 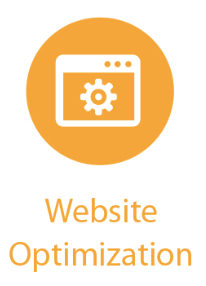 A perfectly optimized web page will attract the attention of the right people to the right information. Since web traffic and online business are both constantly increasing, an optimized web page is no longer a luxury, it is a necessity. The first step to a perfectly optimized web page is to make use of SEO-friendly URLs for each page. Make sure your URLs are concise, but also use your primary keyword for that page. Try not to include too many numbers, backslashes, or signs. Keep it short, sweet, and relevant to the actual content of the web page. 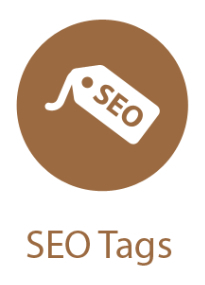 The second step is to use correct keyword placement in your title tag. Your keyword should be used as the very first word of your title tag. Since your title tag is the most significant component of your on-page SEO, make sure to place the keyword as the first word. This seconds step encompasses the use of multimedia. With attention spans and retention rates shrinking, you want to make sure whoever is viewing your page is accessing the information they need in a quick and convenient way. Make use of the variety of multimedia resources available. Use a colorful diagram, a short, interactive video, or even an eye-catching image to get your point across. This will keep users on your web page longer. Creating an optimized web page requires the use of outbound links. Incorporating relevant links out to helpful, related pages will actually enable Google to clearly identify the topic of your page. You can also use authority sites on the topic to improve your page’s ranking on Google. Step sour involves the content of the article itself. Make sure to use the keyword within the first 100-150 words of the content. This alerts users to the real purpose or goal of your content. Also, you want to pay close attention to you H1 tags or your headline tags. If you use WordPress or a similar type of blog platform, they will usually automatically add an H1 tag to your page title. But some may not. So make sure to check your settings. If not, wrap your title with an H1 tag so that your main page title is clearly keyword related. Gone are the days of short, simple content pages. Now, many SEO experts say longer is better and research is proving that to be true. Google prefers to see more than 300 words per page and 600+ is even better. Especially for targeted and competitive keywords, it is essential that you build out enough robust content that users and search engines consider you to be a valuable source on the topic. In order to get ahead of your competition, spend some time lengthening and strengthening your web page content. Meta keywords are similar keywords to your main keyword that Google looks at to establish the relevancy of your web page and possibly even its quality. To come up with some meta keywords, you can utilize the Google Adwords Keyword Tool. After completing these ten steps, your optimized web p age should be ready to go! Engage a social community around your web content by making use of popular networking sites like Facebook, Twitter, Google+ and LinkedIn. 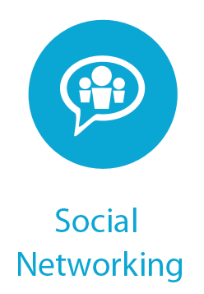 Integrate social sharing buttons onto your optimized web page to potentially increase your social sharing by over 700%. Even Pinterest can be useful for certain types of businesses. Continue to keep an eye on other, newer social platforms that are beginning to expand and gain traction. Check out instagram!